The reviewing for this section is going to be split between two things. The first is obviously “Ace Combat 7” as a game. The other is on the PlayStation VR (PSVR) headset as it was the first time I’ve used the device. 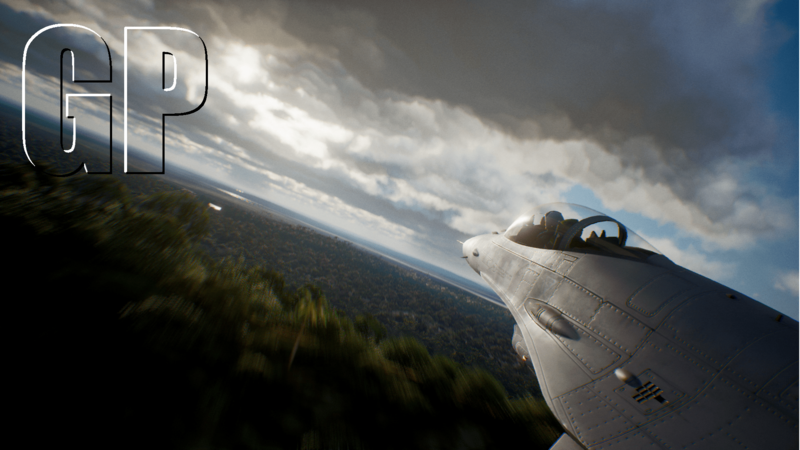 ‘Ace Combat’ is not a sole VR game and is playable in or out of VR so lets start with the game itself. It is a continuation of the series and it’s like the rest the games in the series. You a pilot of a jet fighter in a war of a place just called Oceania. It’s clear what it references as Oceania is an actual thing, being an all-encompassing name for an area of the South Pacific. So it’s clear what everyone is a stand in for. It’s not a major point but it’s an interesting note regarding story development. For the demo, they had a version of the Eurofighter jet working. At least I assume it was. It was the one they used (and named) during the presentation but hell if I could tell if it was the one I flew in the hands-on. Plane-buffs would know as it is all very detailed but I’m not one of them so hell if I could tell. For me, it was just a fighter jet. They didn’t do the racing game trope of spending time telling you how awesome it is before you can get in it. They just let you get in the jet and the stats are part of the equip menu. It adds the plane-buff details they want but keeps them somewhere where it’s not an impedance for everyone else. The flying and the combat is as you would expect. It is the 7th title of a franchise that is pretty much a by-line for the air-combat-sim genre so it being bad would be the outlier. The only criticism I have for it was that all the controls felt a little sluggish. Weighty, but sluggish. It’s kind of what I would expect from an arcade sim (with a heavy lean to being physics heavy) but then there were things like activating the afterburner which just seemed to take too long to activate. The big thing they were showing off in the presentation was new weather effects. Mainly being clouds as cover, turbulence, fog and icing. Flying in and out of clouds can be used as a break for missile tracking/lock and with missiles being a very important part of the arsenal it can be a good tactic to use. But, as a way to counter it’s over use, clouds cause turbulence which makes flying more difficult as your controls become less responsive. It also causes water droplets to form on the windows which can ice at high altitudes that are de-iced at low altitudes. Also at low altitudes there is low level fog that can hide cliffs and other hazards which you can crash into. All in all, the game is an interesting mix of arcade combat and a flight simulator. Easy enough for most players to pick up and play with relative ease, with enough smaller details to intrigue and interest the plane buffs. I said I was going to talk about it, the PSVR, but I want to add a few pre-notes. I’ve used versions of the Vive and the Oculus head set as well as the cheaper devices like the Gear and Google Cardboard. I just wanted to make sure you knew that I’m not new to the headsets so when I call the PSVR actually quite bad it’s not from a place of ignorance. The fidelity of the screen itself is fine. To be honest, I can’t tell the difference of the plug-in headsets (Vive/Oculus/PSVR) just by the screens. What makes the PSVR bad is the head mount. For all the headsets, they went for the practical but visually unappealing ‘big piece of elastic’ to strap the headset to your head. The PSVR decided to go for something more stylish which can only be described as a mutated cap strap with a button lock over the crown of the head. Firstly, having a push button strap makes it fiddly to adjust. It has a swivel wheel for fine tuning but try pushing a button and turning a wheel on the back of your head with one hand while pinning the headset over your eyes with the other. Second, there’s the fact that it’s placed on the crown of the head, that being the upper back of your skull. Looking up in wonder is fine (as they hope you do) as it just means the visor lays a little flat on the bridge of your nose. Looking down is the major problem as the placement of the strap is not conducive and so it falls off. It just rolls over your head and falls off because the strap ends up being horizontal to the ground, it becomes front heavy and so it falls clean off your head. There where a few times I have to grab the headset so it wouldn’t fall off just because I looked down to the ground in a plane. What also happened while I was playing with the head set was it broke the game. I don’t mean it glitched or froze or anything. I mean it removed all difficulty the game had. The primary way of fighting enemy planes is with missiles. The missile tracker is connected to the front canopy head up display so you can only get missile lock from directly in-front. But in VR, the tracker is connected to the visor meaning you can get missile lock in any direction you face. Then the missiles will do what then can to break all laws of aerodynamics to turn and basically go backwards to the target. Combined with the deep pool of missiles the game has means you can just bulk fire an enemy out of the sky. 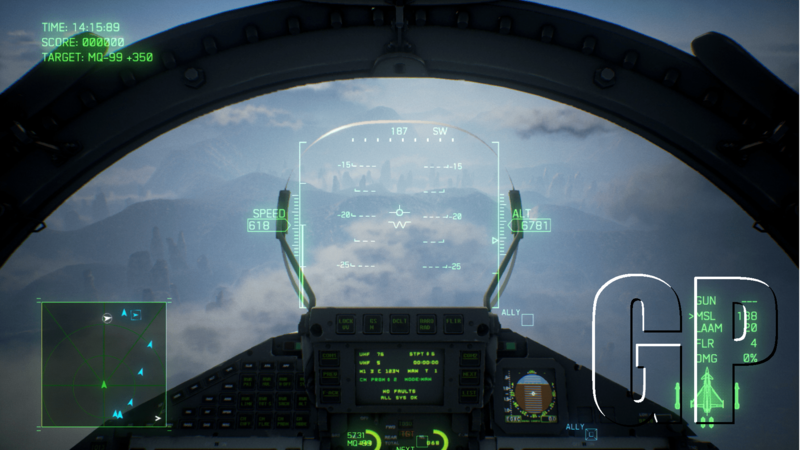 So to end; 1) “Ace Combat 7” is really very good. It a game that I as well as the ‘dads’ who may be reading this too will probably find very fun. 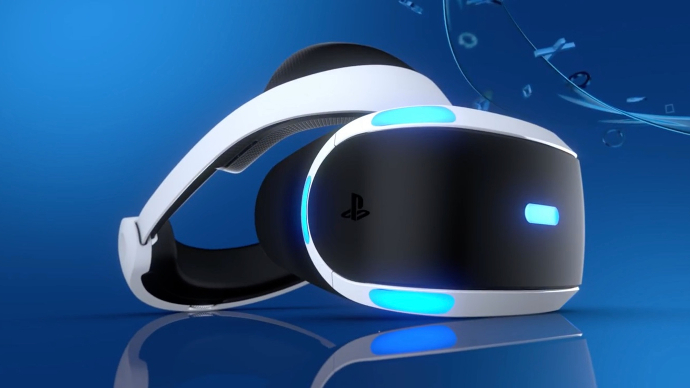 2) the PSVR is actually pretty bad because of an over enthusiasm on it’s visual design rather then practicality. And 3) it breaks the games difficulty. So a great review for the game and a not so good review of the PSVR.